People often bemoan the gridlock resulting from divided government where one party does not control both the legislative and executive branches. With Republicans leading unified governments in Washington and in New Hampshire for the past year, many yearn for divided representation. For years gridlock has been the norm in Washington, with Republicans controlling Congress and Democrats the White House, while both sides complain nothing was accomplished. Gridlock has not been the problem in New Hampshire as Democratic governors usually found a way to work with Republican legislatures. Medicaid expansion is a good example of the benefits of divided government. Expanding the Medicaid health insurance program for the poor to those earning up to 138 percent of the federal poverty level was part of the Affordable Care Act which passed Congress without any Republican support. When the federal law was passed, Republicans dominated the New Hampshire House and the Senate, which passed several bills preventing the expansion of Medicaid eligibility without legislative approval. The 2012 election, however, returned Democratic control to the House and provided a slim 13-11 Republican majority in the Senate. Democrats wanted to include expansion in the biennial budget but Senate President Chuck Morse wanted it handled separately. After numerous fits and starts, all failures in the 2013 session, a Medicaid expansion commission was created to reach a compromise, which it did but the bill was still not successful. Finally a bipartisan group of senators — Republican Bob Odell, Jeb Bradley and Nancy Stiles and Democrats Peggy Gilmour, Lou D’Allesandro and Sylvia Larsen — came up with a compromise using private insurers and an existing state program to garner enough votes to pass the Senate and House and for then-Gov. Maggie Hassan to sign. While the program has undergone some changes and is about to see a significant revamp this legislative session, most lawmakers would agree it has been successful and extremely helpful in fighting the state’s opioid addiction epidemic. If Democrats had controlled the Senate during the 2013-2014 session, a much different expansion program would have been approved that would have been significantly changed if not eliminated by Republicans who took control of both the House and Senate the next session. Instead, the program is still alive today but may not survive the Trump administration attempts to undermine the Affordable Care Act. Bipartisanship prevailed in addressing the state’s opioid addiction epidemic as well, but like Medicaid expansion it has not been easy. Ultimately the epidemic has been so debilitating to families both parties championed additional resources to increase treatment, recovery and prevention efforts, to provide law enforcement more money to fight suppliers and to change administrative rules to curb the prescription writing tide flooding the state with opioids. Partisan sparring has increased since last year’s election and the reduction in federal resources to help fight the scourge. The state’s retirement system has also benefited from divided government. The system lacks the necessary funds to meet its future theoretical obligations to retired public employees and has since the 2001 stock market crash in the aftermath of the terrorist attacks and after the 2007 financial crisis. State retirement systems by their nature pit workers against employers over who should bear the burden when returns fail to meet expectations. Because lawmakers have the first crack at quelling the underfunding dilemma, they go after retiree benefits before seeking greater contributions from employers like school districts, counties, towns, cities and state government. Some system changes were made in 2009, but draconian overhauls were proposed by the Republican dominated 2011 legislature that reduced benefits for new members, changed the formula for determining benefits and increased the cost to employees. Lawmakers also eliminated the state’s contribution for municipalities, school districts and counties and increased the cost to employers. The initial draconian proposal was tempered by a threatened veto from Democratic Gov. John Lynch. Although Republicans had veto proof majorities in the House and Senate it was unlikely there was sufficient support to overturn a veto. Now the unfunded liability is decreasing but cost of living increases and a medical subsidy program ended when lawmakers eliminated the Special Account that funded those benefits. Divided government is also a brake on one party’s priority legislation that lacks public support. Over the years, Republican-controlled legislatures have passed numerous bills tightening voter registration requirements they say are needed for election integrity, but Democrats say are voter suppression measures. In most cases the Democratic governors vetoed the bills successfully. Similarly GOP legislatures approved bills loosening gun restrictions that were vetoed by Democratic governors. Polls show little public support for additional voting restrictions or loosening gun laws, but with Republicans in control last year in Concord, both were signed into law. Conversely there has been broad public support for legalizing a medical marijuana program and for decriminalizing possession of smalls amounts of pot or hashish. The legislature routinely passed bills to accomplish those goals, but Democratic governors listened to law enforcement and either vetoed or threatened to veto the legislation. But this year GOP Gov. 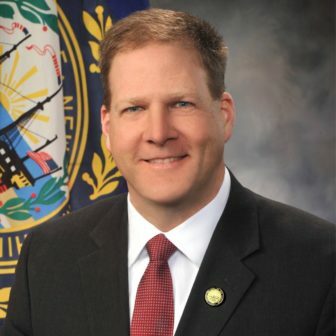 Chris Sununu signed the decriminalization bill. Medical marijuana was approved several years ago, but attempts since to allow patients to grow their own have yet to be successful. And sometimes with a divided government if one party holds supermajorities in the House and Senate, the other party’s governor can do little to stop it. Such was the case for “stand-your-ground” legislation, an education scholarship program funded by business tax credits and laws giving parents the right to decide what their children will learn although they hold schools accountable for their students’ standardized test scores. In Washington, there is little of the give-and-take lawmakers have to exercise in New Hampshire to address issues that cannot be ignored. In many ways gridlock is preferable to unqualified judges overseeing federal courts, special interest tax breaks hidden among tax reforms and fossil fuel exploration everywhere including New Hampshire’s 18-mile coastline. No one wants to see oil rigs next to the Isle of Shoals any more than they wanted to see an oil refinery on Durham Point 40 years ago. If the frustrations over divided government last long enough, bad things can happen that negatively impact the state and the nation for years to come. 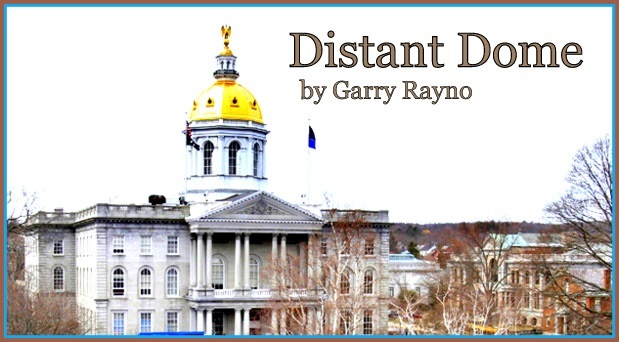 When Democrats were first elected to the majority in the New Hampshire House and Senate for the first time in a century in 2006, one long-time observer noted they could stay there for a while if they don’t act like they had to accomplish everything in two years. They did and much of what the two-terms of Democratic control accomplished was overturned in the next term by the GOP dominated legislature. Unlike New Hampshire, Washington politicians have staffs and political organizations that track their every move and how it plays in the public’s perception. If those polls show the GOP could lose control of the Senate and maybe the House in the 2018 election, then expect to see a litany of unpopular legislation aimed at accomplishing their agenda in the next year. And if GOP lawmakers are successful — and there is no reason to believe they won’t be with a Republican in the White House — Democrats will try to undo all of it when they are in control after the 2018 election. Compared to wild partisan swings every two to four years, divided government is preferable. 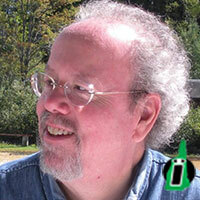 Garry Rayno can be reached at garry.rayno@yahoo.org.